What’s a celebration without a bear naming? Welcome to the family Booker Honey Bear!! Thanks to everyone who attended our open house and dropped a name in the honey pot to give our new bear a name. We had over 100 entries! Fuzzy Wuzzy, Paddington, Beary, Wild Beary, Frederick, George, Cassandra, and Baloo were a few other suggestions. 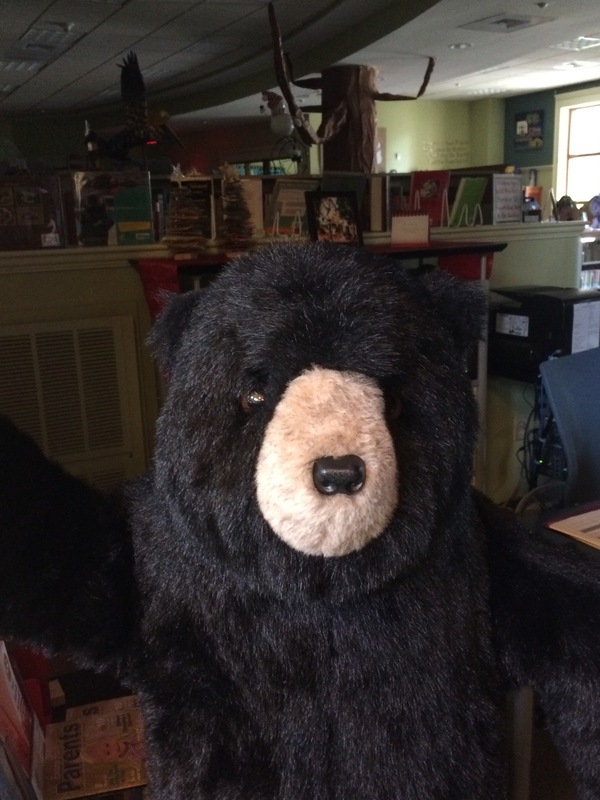 The newest addition to the Fairhope Library Youth Services department is a life size black bear cub, created by artist James Hood. He’s no ordinary bear, he’s differently abled. Just like I was born without part of my right leg, our bear was born without front bear paws. That doesn’t seem to matter to the children who come in the library. He’s a friendly bear and the kids talk to him, touch his soft fur, or even give him a hug. Of course , everyone knows me as Alan, or Stump the Librarian, but our bear needs a name. So consider this your personal invitation to come to our open house celebration on Saturday January 21, 2017 between 10 AM and 2 PM. And while you’re here, suggest a name for our new bear. 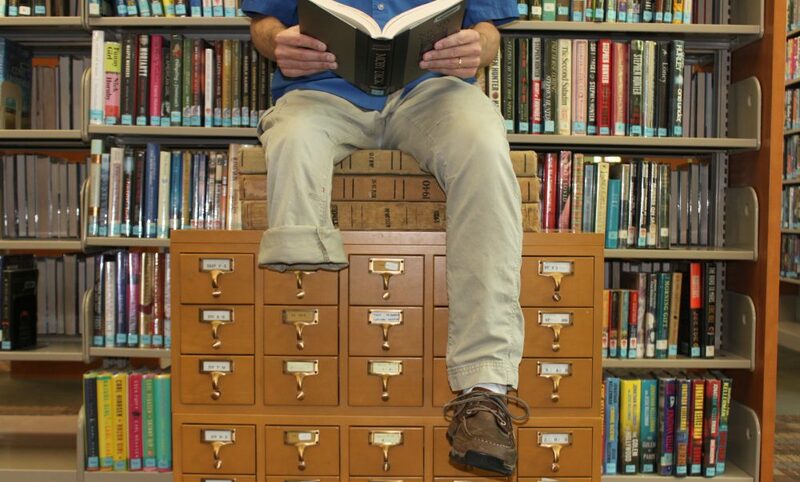 What time are you giving your History of the Fairhope Library talk?